This isn't a stand-alone story. 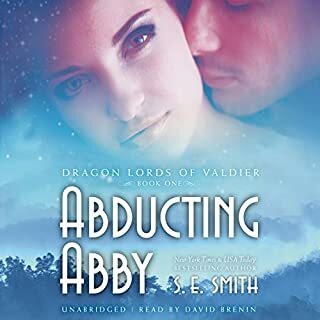 Please listen to Healed by the Dragon (Stonefire Dragons fourth book) first. 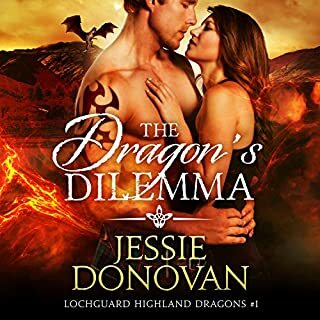 I would highly suggest enjoying the other books in the Lochguard series as well. Finn is trying his best to work and protect his clan on little sleep; having triplets is his toughest challenge to date. But with his mate, Arabella, at his side, he finds a way to manage. However, as things start to spiral out of control with a pregnant cousin, another cousin constantly containing a mate-claim frenzy, and another driving his eight-months'-pregnant mate crazy, Finn's next mission is to find a way to ensure everyone behaves and toes the line. The only problem is that the MacKenzies are a stubborn lot and Finn may be in over his head. However, as Finn soon finds out, his wild cousins are nothing compared to the latest surprise to show up on his doorstep. It's going to take every bit of wit and charm he possesses to keep his family safe and together. Failure simply isn't an option. This is a fun read!!!! I am so happy that we got to see Ara and Finn and of course the triplets. I'm one of those people who enjoy follow up stories and knowing what is happening to our characters lives even after their books are over. 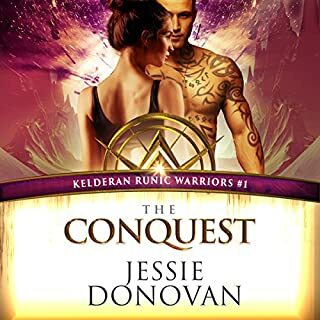 I have to say that Jessie Donovan once again gave us an amazing book filled with action and laughter and of course many of my favorite characters. This is a great addition to the series. I love the crazy Mckenzie /Steward family!!! Loved all the little details that the author put in this book. Oh MY God I love the narrator!!!! He is so perfect for each character and the accent is to die for. I just love Finn and Ara so I am so happy to see this folliow up story. Jessie is a wonderful writer and I absolutely adore the entire series. Brian Gill brings the story to life. I hope with all the children in the family now that Jessie continues this series for a very long time. This was a cute story about the family. There are so many children (twins and triplets)...Jessie set herself up for many more books to come. :) The story of family, love and support from various characters is really nice. We also get a nice surprise for one of our main characters. Lovely story. Exciting, It is so exciting when a author goes back and updates you on one of the characters in the series or as in this case the whole family. It is so interesting to see how the famlies are growing and getting along. It is so well written you feel like you are with them in the story. Absolutely 100% loved this book!!! It was so good. It kinda helps that I favor the Scottish dragon shifters anyway. Especially Fin and Ara. Really shows the love that grows between family. Hope one day we can get a book on the kids that would be fun!!!! As Fin and Ara get use to their new lives with the triplets, Ara's brother has to tell Ara that he has a secret that he has been keeping for a short time. Will this blast from the past throw Ara back into the secluded woman that she was before she meet Fin. Aunt Lorna and Ross take a short vacation, and the family goes crazy. 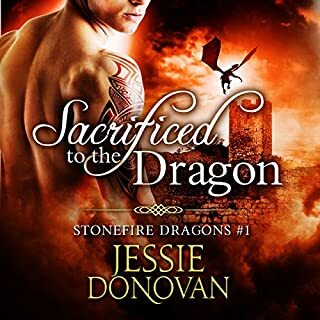 This book has it all a mate claim frenzy, Tristan and Mel from Stonefire, blast from the past, Faye and Grant, and even a birth. This is an excellent follow up to the family that everyone has feel in love with. This was such a phenomenal story. It took us back to Lochgard to check in on everybody. We got to meet Finn and Ara,s triplets. The interaction between them all is so cute. The teasing between Finn and Ara is one of the things I find attractive. The way they have each other’s back. We also get to see the MacKenzie,s. Get them all together and you have the definition of chaos. 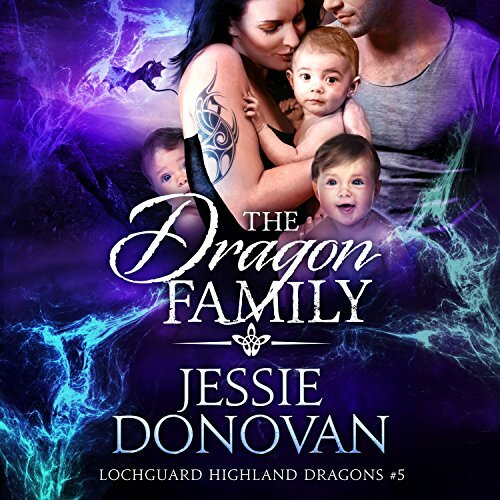 Aunt Lorna is on vacation and her three hellions and their mates are causing all kinds of trouble. Finn is going to have to have a chat with them. Lots of twists and turns from there with new people and kin from Stonefire showing up for some of the events. Lots of changes to be seen. Another wonderful story about families you feel a part of. Jessie does an awesome job. Babies, babies everywhere. I sighed with happiness with babies being born everywhere. I teared up at the struggles that Ara and Finn faced with their triplets and especially Freya. Listening to the story bought the story more to life for me. Made me feel the desperation, the fear and the love more than reading the words did. I just loved the way the audio version brings it to life. I lived this so very much! I love the twists and being about to catch yup with some of my favorite characters again! I cant wait to see what else this amazing author throws our way! This story is about not just Fin and Ära. It’s about the family You Will find out what Holly and Ferguson have. You will meet new characters One of the characters . Will have some problems that worry Fin and Ära. You will learn if Freya has enough strength to overcome her Problems or if Fin and Ära need to worries about Freya’s Problem. Meanwhile Ara Searches to help Freya in doing so she finds her lost Father. Ara’s Father feels he is not a worthy Father too Ära and Tristin. You Will find out if Ara’s Father can find the Strength too move forward and find a purpose too live for his children and grandchildren or will he feel so guilty for leaving Ära and Tristin after his mate was killed that he leaves them again.